With your Singapore Airlines or SilkAir boarding pass, you can now enjoy privileges on dining, shopping, entry to tourist attractions and car rentals around Singapore. Upon arrival at Singapore Changi Airport, pick up your special identification card at the SIA Singapore Stopover Holiday counter. Present the identification card and vouchers at the relevant locations to enjoy any of the special Singapore Stopover Holiday privileges. 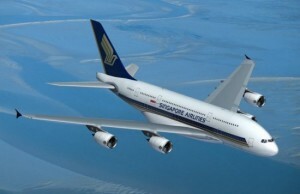 Singapore Stopover Holiday 2011-2012 is available from 1 April 2011 to 31 March 2012. *Please note that online purchase of Singapore Stopover Holiday is not available in China, Japan and Thailand. Note: Prices may be subject to relevant service charge and government taxes, and may change without prior notice. A service fee of USD 25.00 per transaction applies for bookings made at Singapore Airlines or SilkAir offices. If you have not decided yet or wants to customize tour itinerary or hotels listed above in "Singapore Stopover Holiday Package from Singapore Airlines", then we can change the travel itinerary and make a personalized, tailor-made holiday package, especially for you. We can modify this travel package as per your itinerary, budget, duration and the tourist places you would like to visit, including transportation and airfare should be included or not. Please fill the form below to contact us.